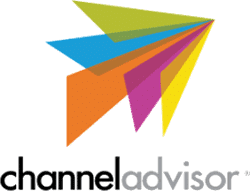 Multichannel management solution ChannelAdvisor Marketplaces has launched its own network of integrated logistics providers, accessible from within the software. The ChannelAdvisor Fulfillment Network helps sellers streamline their fulfillment process through a shipping carrier integration supporting Amazon Seller Fulfilled Prime, FedEx, UPS and USPS. In addition to native integrations already available, the ChannelAdvisor Fulfillment Network also offers access to dozens of third party logistics providers, freight forwarders, and software solutions. "This release marks one of the most exciting platform enhancements to date," said David Spitz, ChannelAdvisor CEO. "We have unveiled new functionality that will support first-party and drop shipping, creating a seamless, efficient experience for brands and retailers no matter how they are selling on marketplaces. Our product teams have been working in overdrive to deliver this functionality and much more, and I'm thrilled with the progress and the value it can bring our customers." "Access ChannelAdvisor" platform providing support for new marketplaces including TopHatter, Fruugo, and Pricefalls. Improved support for Facebook ads and Google Local Inventory Ads. Amazon Vendor support including AMS advertising programs.